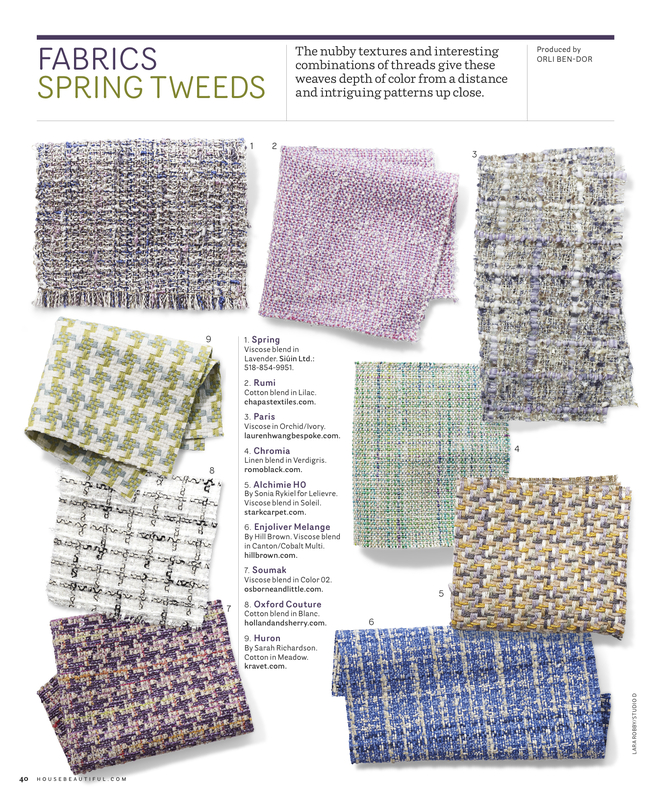 WHAT A PRETTY SELECTION OF TWEEDS! SO HAPPY TO HAVE BEEN PART OF THIS FEATURE. THANK YOU ORLI! PARIS TWEED AVAILABLE IN 7 GORGEOUS SHADES!